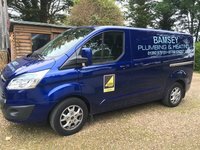 with over 30 years of experience taking care of plumbing and heating needs, Bamsey Plumbing & Heating is the one to trust.From the smallest leak to a complex installation using the latest technology in controls to give you the best possible energy efficiency. Cannot praise martin highly enough. He responded to my contact quickly and came to our house within 24 hrs. 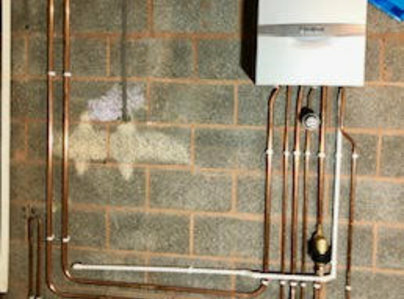 He was very clear about what work was required on the boiler and gave honest opinion regarding repair and cost which was a good price. I felt very reassured by him. The repair was completed the next day and the boiler is now fully working. I felt he was very professional and did a very good job and i would not hesitate in using him again or recommending him to friends. Trustworthy company. Very glad I found him on the which trusted traders. Having waited three weeks for our regular gas boiler engineer to come and inspect a water leakage in our boiler, I gave up and consulted Which? Trusted Traders. I found Martin Bamsey, who came within hours of my contacting him and quickly identified and stopped the leak. I shall definitely invite him again when our annual boiler service is due. I mentioned this to him and he promised to open a file for me with a note to bring a spare part with which to replace a non-essential but slightly damaged part when he comes to do the annual service. Now that's what I call top quality service. 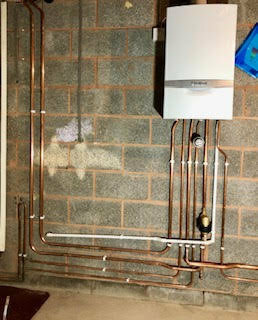 He was very thorough & installed the boiler and 3 new radiators over 4 days. He was extremely knowledgeable and a real professional. Highly recommended. Martin’s the BEST plumber man…………….…… Turning up in his well-stocked blue van…….…...... For a replacement, or mend………………………...... ....Or something stuck in your bend………………... .......If anyone can fix it – he can! Martin has just finished a long overdue transformation to my late 1960’s shower room and laundry room. It presented many challenges which he resolved very successfully. He is hard working, conscientious, reliable and doesn’t waste any time (including non-existent lunch breaks!) He is also professional, unobtrusive and easy to have around. I am more than pleased with the finished transformation and very grateful for the helpful suggestions along the way. I have no hesitation in recommending Bamsey Plumbing and Heating. 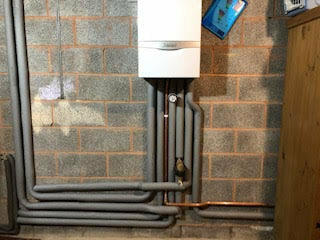 Have had many jobs done over the last seven years ; plumbing to alter pipework; installation of new taps , kitchen sink and dishwasher; yearly boiler servicing including landlord's certificates;installation of new radiator and radiator valves : boiler repairs including a successful reconstruction/repair of an old Baxi back boiler, All work is excellent. Martin is definitely an expert in his field and always does a thorough , careful and safe job, explaining clearly the reasons why a repair is needed. He is efficient and gets the work done on time, with no fuss, bother or mess! I thoroughly recommend Martin for all gas and plumbing work. Mr Ramsey fitted a new gas boiler in our house, has dealt with a serious radiator leak, repaired our emersion heater and has done several other minor jobs for us. He has proved to be extremely competent and reliable, with a wide range of expertise. I had the annual service on my Worcester Greenstar gas fired combi boiler carried out by Bamsey Plumbing and Heating in September. This was it's second service, it was installed in September 2015. From first contacting Martin by mobile to book the service, to carrying out the work, I found him to be very professional and courteous. He arrived on time, and the job was completed quietly, no fuss. He was also very helpful in advising me about Building Regulations certification. I have booked him for next years service. Came back from holiday to find our boiler had broken with no heating or hot water. Martin came straight out, ordered the parts and fitted the next evening. Efficient and quick service, very experienced and genuine. Would not hesitate to recommend.